SEO is Dead – NOT! Working as I do with a broad range of clients with extremely diverse perspectives about web content and online marketing strategies, it remains surprising when any of my clients makes the claim that SEO is dead; as happened recently. What was truly stunning is that the client in question should have known better, as she works in WordPress website design and implementation, as well as the promotion of WordPress websites on a daily basis. “However, I must say how disappointed I was in the follow-up conversation on Skype, where the value of SEO for client websites was discounted, to the extent that it was even said that ‘SEO is kind of dead.’ Frankly, I was stunned to read this, since this could not be further from the truth. For proof of this, take 15 minutes and type the phrase ‘SEO is dead’ into a search engine and just see the number of articles that are presented, and read a few. While it should be obvious to all that SEO has evolved dramatically in the past couple of years especially, the vast majority of visitors to any website will use one of the three major the search engines to find the information they are seeking. (Google no longer has a monopoly on search, if it ever did.) And yes, the search engines are also used to find social media feeds like Facebook, Twitter, and LinkedIn. At a bare minimum, optimization of the Meta Data for every page of every website remains critical to the success of that site, ‘else how will the search engines direct fresh traffic to our clients’ sites? And, while Google has decided to make it extremely difficult to gauge the effectiveness of our optimization efforts, by denying us access to search information without paying for it through Adwords, it should be obvious that increases in traffic in response to an increased effort in optimization will be directly related. I actually spend a great deal of my time helping clients optimize their pages for search, and I have seen those efforts improve traffic to my client’s sites dramatically, and quickly. This may, in fact, be due to the erroneous idea that ‘SEO is dead,’ which causes many to forego efforts at optimization. I believe we do a real disservice to our clients when and if we accept this idea. SEO is not dead, and never will be, as long as search remains a part of creating a successful online business. I think many people want SEO to be dead, simply because it’s not easy to do, and that makes it OK not to do it. However, optimizing web pages and content will always be necessary. We should really think of it along the same lines as site maintenance. examples are endless. It’s the same for a website or blog content. Performing SEO for our clients, i.e., making the pages and copy more attractive to the search engines in an attempt to attract more visitors, should be part of building and maintaining a searchable website for them. There is a major contradiction in the argument as well, since we focus on WordPress websites. One of the major reasons WordPress is so popular is because it is so very Google friendly and, in fact, has strong appeal to all of the search engines. WordPress was designed as an SEO friendly CMS, and all of the themes and plugins that have been developed for it are designed with this in mind. To promote WordPress as the best CMS for a website, while ignoring the SEO value at the same time, is a huge contradiction – and it also ignores one of the greatest benefits of using WordPress. The word ‘optimize merely means to ‘get the most out of’ or ‘achieve maximum efficiency, according to WordWeb, my desktop mini-dictionary. If we refuse to do everything in our power to ‘get the most out of’ our client’s websites for them, or refuse to even try, aren’t we letting them down, whether they know it or not? Whether they even understand everything we’re doing for them? Needless to say, people being what they are, this conversation had little effect on any of the non-believers. Human beings become so committed to their belief systems, often regardless of the facts, that it can be impossible to change their minds. This is tragic, especially in the world of online marketing, where building traffic and customer loyalty to a business website is critical to long-term success. Having said that, it still must be argued that SEO in definitely NOT dead, but merely changing, as it has done for decades and will continue to do for decades to come. If you’re not doing everything you can to optimize your website for the search engines, or for those of your clients, I can guarantee you’re leaving business in the ether; business that could have been yours – or your client’s. 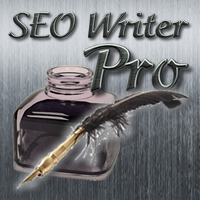 Posted in SEO Marketing, SEO Writer, Web Content, Website content	| Tagged how to seo, online marketing, optimizing your business website, SEO has gotten a bad rap, SEO is changing, SEO is not dead, seo optimization, web content, WordPress is SEO-friendly	| Comments Off on SEO is Dead – NOT!